Sliced pistachios for garnishing (optional). We used roasted Pine nuts in the video. Core the apples and cut them into thin slices. Combine sugar and water in a deep kadhai and boil. Mix and boil for about 10 minutes or till the sugar dissolves completely and syrup gets thick. Add rose water to sugar syrup and mix well. Heat sufficient ghee in a kadahi. Dip apple slices in the batter and deep-fry in ghee till golden. Transfer apple jalebis in the sugar syrup and soak them for a minute. Transfer some apple jalebis on a serving dish.Top it with a scoop of home made rabri Or ice cream, follow with another apple jalebi, garnish with pistachios and serve. Every time I had the world famous Gulab Jamun Ki Subjee at “Spice It”, a multi-cuisine restaurant, located at ibis Jaipur, I wondered as to what went into making this mouthwatering delicious dish. Thankfully the Executive Sous Chef Hem Chander shared the recipe of this dish. Here are the ingredients and the recipe . 2. Take a Ping-Pong ball sized dough and shape into a ball. 3. Coat it with some corn flour (optional). 4. 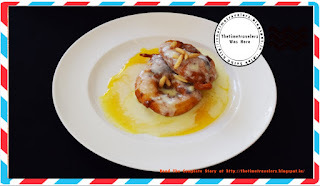 Heat oil in a large heavy saucepan and deep-fry the gulab jamuns until brown. Keep aside and tent with foil. 1. Heat ghee/butter in a pan, add sliced onions and fry till transparent; add ginger-garlic paste and fry further for 2-3 minutes. 2. Add tomato paste; fry for 5-6 minutes; add coriander, red-chili, turmeric and cumin powder with a little water. Fry till the mixture starts leaving oil from sides. 3. 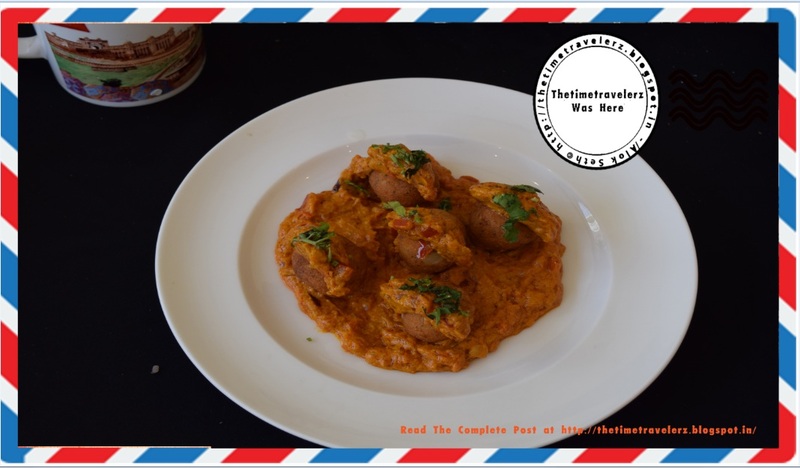 Add cashew nut paste and fry further for 2-3 minutes; , stirring and incorporating it into the mixture before adding the next tablespoonful. Everyone has a different reason to visit Jaipur, some go as a tourist and others are there for a business trip. I had more than these two reasons to visit Jaipur. Yes the lure of an ancient city did attract me. 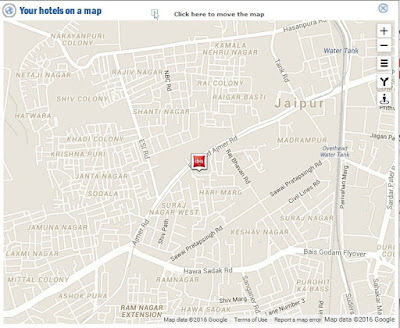 The fact that Jaipur is just at a distance of about 240-279 kilometers from Delhi makes it the perfect weekend getaway. 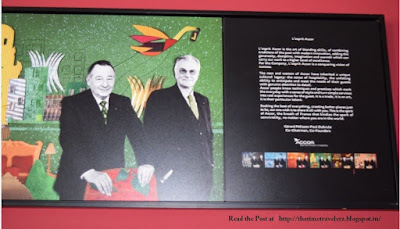 Thirdly I was scouting for a hotel that I could recommend to friends and colleagues. I was looking for a hotel that would be suitable both for Indian as well as foreign guests of mine. Every time I have guests from overseas who are visiting the Golden Triangle (Delhi, Jaipur, Agra) the first thing they ask me is if I could recommend a place to stay in Jaipur. 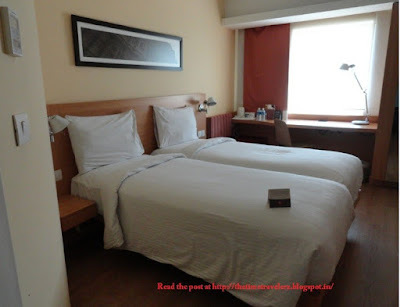 It was my quest to find a hotel which would be both comfortable as well as economical. In my numerous journeys around the world I have discovered that spending more does not necessarily mean better quality, comfort or service. 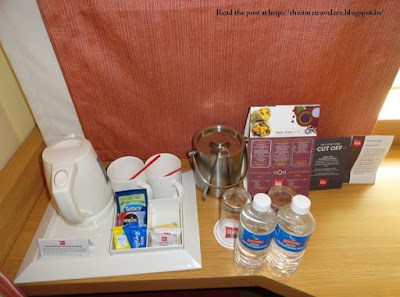 With this agenda in mind I chose to book a stay with ibis Jaipur. 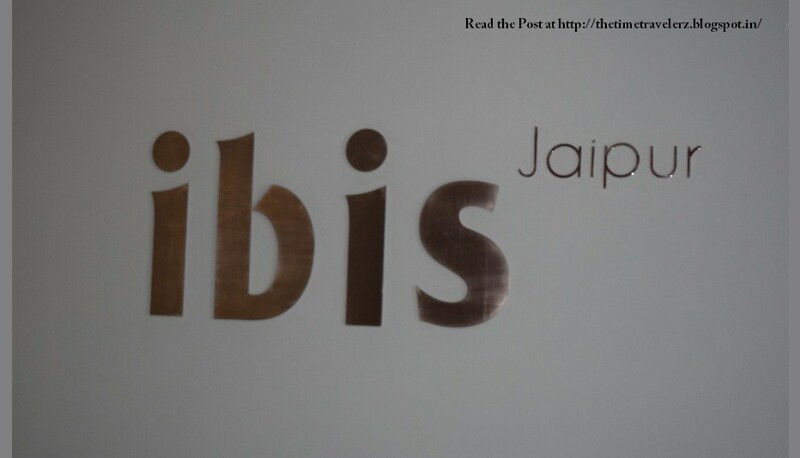 ibis Jaipur is a part of Accor-Hotels a French hospitality major, renowned globally for its quality stay and trust worthy service. ibis Jaipur is located in the heart of the city with a number of tourist attractions close by. 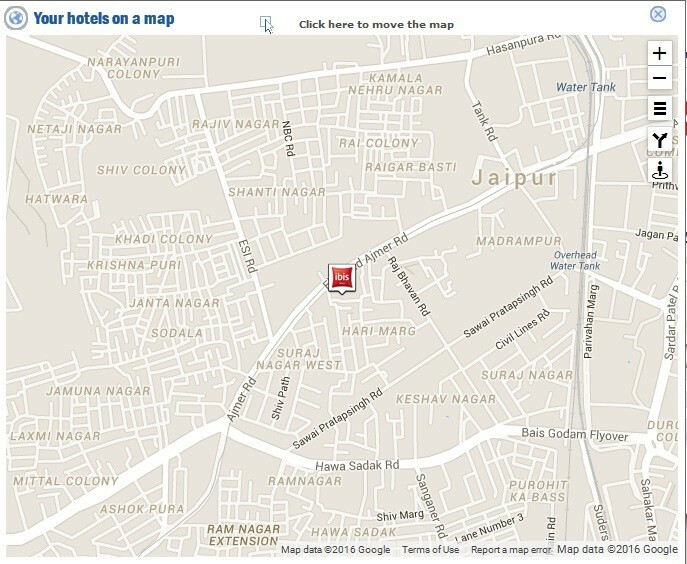 With so many attractions close to the hotel, one is never far from the happening streets and attractions of Jaipur. Being located in the Civil Lines area, which is a very posh area with bungalows of Ministers and important govt. officials, I found myself living in a peaceful and well-guarded part of Jaipur. 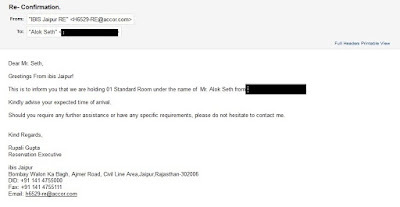 Shortly after I booked my stay I got a confirmation mail from ibis Jaipur confirming my booking with them. There was another quick confirmation from the ibis Jaipur management confirming my booking. 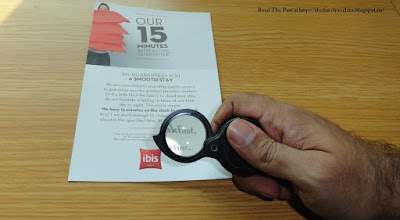 This was the second mail from ibis Jaipur the first being an auto response. I like brands that begin to interact with their customers even before they begin the usage of their services. It did tick a check box for me in my search of a brand that would offer quality and be worthy of recommendations. As I was going to drive from Delhi to Jaipur I got my car serviced and prepared for my road trip. 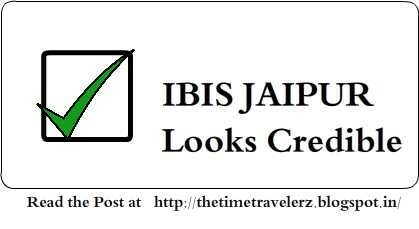 A day prior to my departure I got a mail from ibis Jaipur which asked me about my time of arrival and if I needed any further assistance. 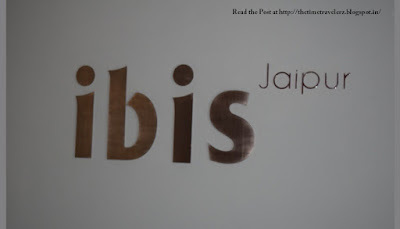 I view such emails as a sign of a brand eager to provide a good service to its customers and this made me really look forward to my stay at ibis Jaipur. 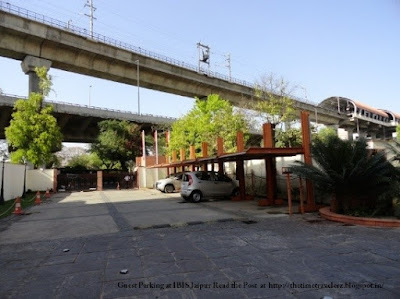 On my arrival the large motorized gates opened and I drove past the majestic green lamp posts that I later came to know are one of the oldest structures that had been retained from the original construction that was once a property known as Bombay Walon Ka bagh. On the left hand side of the gate I got a secure place to park my car with a shed covering its top to keep it cool on a hot day. In addition to this there is an underground parking as well. A free safe parking in a drive in hotel is an important parameter that I look for in any hotel. 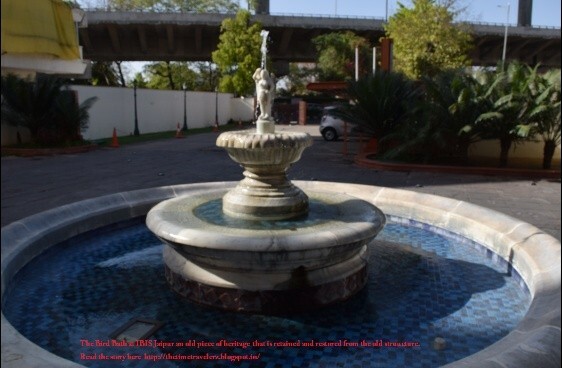 The Bird Bath at ibis Jaipur is another old piece of heritage which has been retained and restored from the old structure. 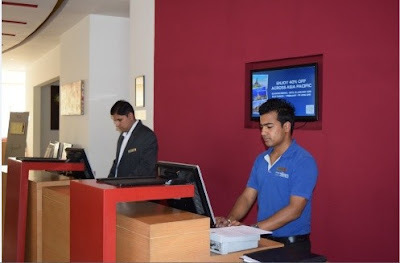 Check in: The front reception staff was courteous and swift. The check in formalities were completed quickly and I was handed over the access card to my room. My room was on the 3rd floor and all the floors are connected by a lift. The first thing that I noticed about the lift is the fact that you have to use your access card to tap a receptor and once the light goes green you can press the floor number. This is an added security feature to safeguard the safety of guests and it gets an additional tick mark from me. Reaching my floor I found that the room numbers are clearly marked on either side of the corridor which leads you to the rooms. I noticed an ice dispenser present on my floor. I discovered later that there is one on every floor. Access to my room: Accessing a room requires you to gently tap and hold your access card to the black receptor on the door till it turn green. This indicates the door has got unlocked. 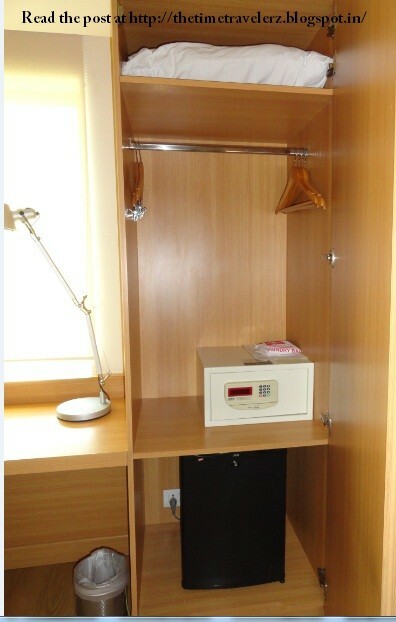 On entering the room when you insert the access card in the wall holder the power supply to the room is switched on. The room was neat and clean and came with a safe, a wardrobe, a Tea /Coffee maker. Supplies for making tea and coffee. 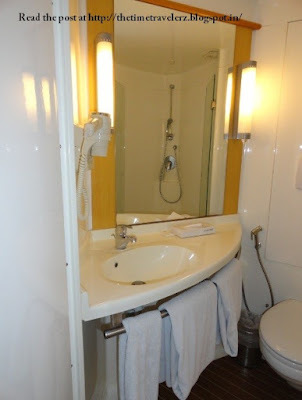 The Toilet and the Washroom is in the form of a molded cubicle and was spick and span. 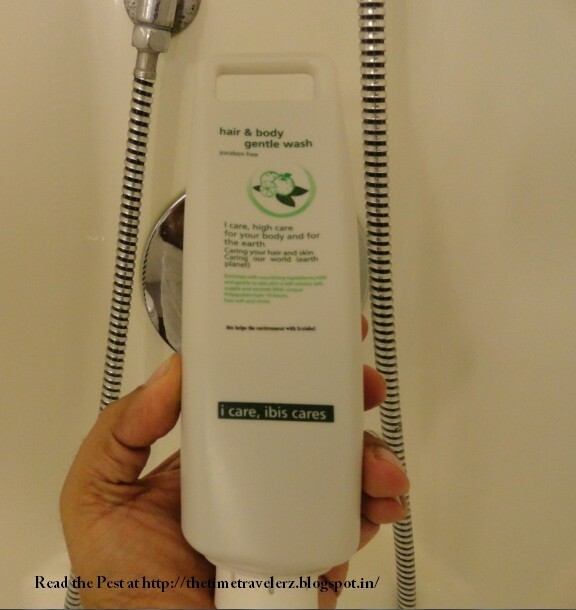 It comes with a standard hair dryer, soap cake and a tube of 2 in 1 Shampoo & Body wash. There was a large window in the room which let in plenty of light through its glass pane and on lowering the blinds it cuts out the light. The beds were very comfortable and I dozed off the moment I hit the sack. Normally it takes me quite some time to get used to a new city and a new bed in a hotel room. However the ambience of the room was extremely relaxing and it was only later that I discovered that the bed that I was sleeping on was a sweet bed. Now the concept of Sweet beds is a result of research done by specialists who designed these beds to provide a comfortable sleep along with the right amount of support and rest. Another thing that I noticed about the room was that it came with the promise of a 15 minute satisfaction guarantee. What I understood about this is that the moment you check in to your room the hotel enters into a 15 minute service contract with the guests. 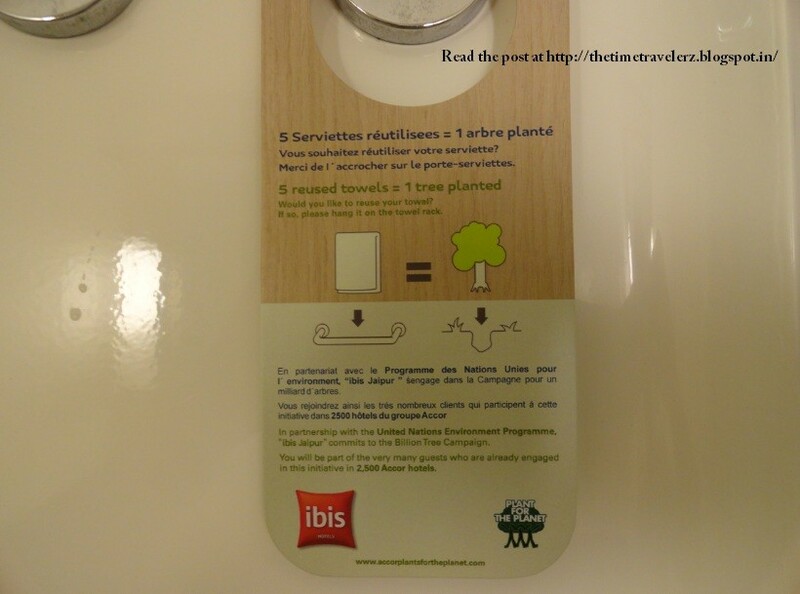 This 15 minute window is offered to the guests for him/her to check out the room and report anything that is not up to the mark in the room and once reported the hotel would fix the issue within a designated time window for the guest. The breakfast was something I was looking forward to. My booking came with the option of Eat as much as you can buffet breakfast. The breakfast is served at “Spice It”, a multi cuisine restaurant located on the ground floor. 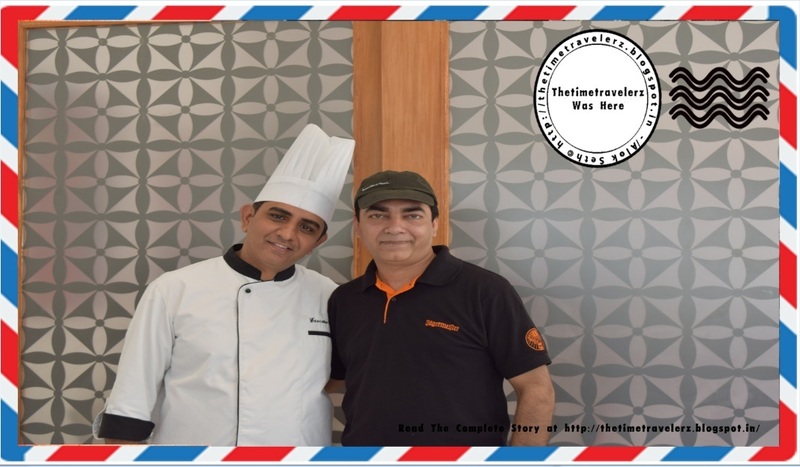 It indeed turned out to be a lavish spread, offering both Indian and western cuisines. The lunch offer which I tried had an à la carte menu. I found that the menu offered quite a few Rajasthani dishes. I wanted to try out a few, so I ordered a Paneer dish, Papad Paneer Ki Bhurji and Gulab Jamun Ki Sabzi. All the dishes were delicious and each one came with a number of Indian breads to choose from. There were a number of soft drinks on offer and I ordered Sweet lime. The food was good and I would highly recommend it. For dinner I opted for the buffet as I wanted to try out most of the dishes. After a hearty meal I had Imarti and Gulab Jamun for dessert. “Spice it” offers good variety of food like North Indian, Rajasthani, South Indian and Western dishes. 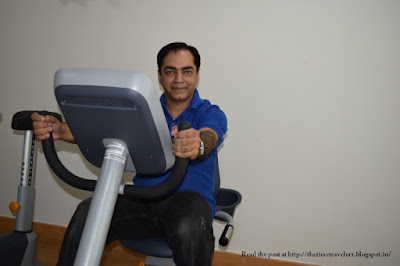 All the food is served from a well maintained hygienic kitchen.With so much good food the next most important thing to do was to use the hotel gym, the access to which came free with my Booking. 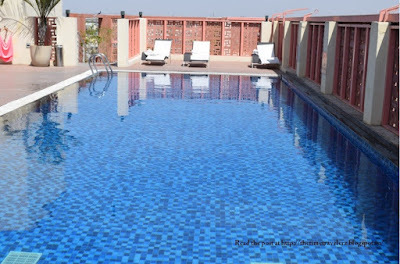 Taking about free, a dip in the top floor pool is also free for the guests staying at the hotel and so is the view of Jaipur from the top floor. Another thing that I noticed standing on the top floor are the solar panels used to heat the water. It sure feels good to know that I am staying with a brand that is conscious towards environmental issues and it nudges you to do your part by reusing the towels that are provided in the room. 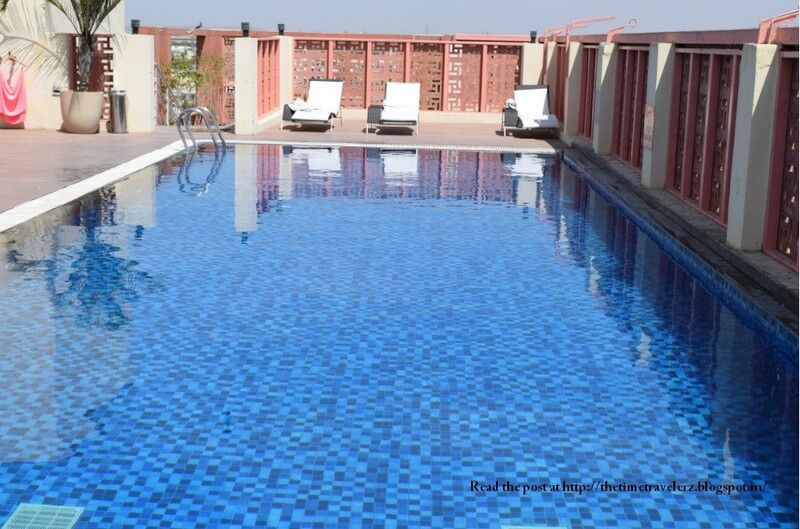 Sitting on the pool chairs or taking a dip in the pool are the perfect breaks that one can take from day excursions and shopping trips to Bapu bazaar. The ibis Jaipur being centrally located offers its guests the advantage of proximity and connectivity to the happening places of Jaipur. The staff is extremely friendly and eager to help. Not only is it a friendly place to stay but also safe for solo women travelers.